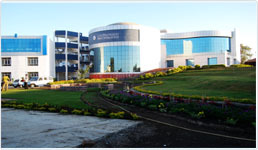 RCP, Bhopal is the pioneer institute of Radharaman Group of Institutions, (RGI) which is situated in hustle-bustle tree picturesque environment of Ratibad, in the out skirts of Bhopal. .
Awardesd as the " Best Emerging Institute" In Central India. Prominent Visitors of Radharaman Group Of Institutes . Radharaman Group Of Institute received "BEST PLACEMENT AWARD" by Madhya Pradesh Government.